Planning ahead is always a great idea. It provides peace of mind in knowing that you are prepared, especially for those life events that we have no control over. Many major decisions and purchases require careful thought to consider the emotional and financial impacts they may have. In your lifetime, you will most likely purchase 6-8 automobiles, 3-5 houses, and 1-3 funerals. 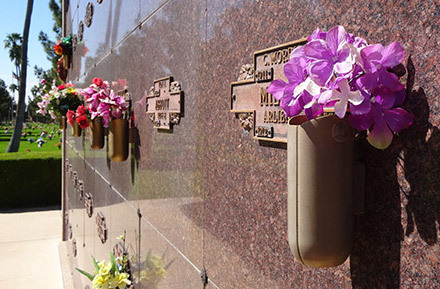 A funeral can be among the most emotional experiences that we can go through. Properly planned though, it can be a celebration of life, and a reflection of the individual. Left to the time of need, surviving family members can be overwhelmed by questions and second thoughts and oftentimes, finances can be depleted because of a long illness or because the estate was not properly protected. Planning ahead encompasses many different aspects. It really goes beyond having a Will prepared or purchasing life insurance. There are many different pieces of information that need to be gathered as well as several decisions that need to be made pertaining to services and merchandise. No one likes to be forced into making quick decisions. Most people want to investigate their options before making any important decision, but when a death occurs, and no plans are made in advance, there is an urgency created. Oftentimes, other family members are scattered about the country, which makes it that much more difficult. Now decisions have to be made rather quickly and not always in the best frame of mind. There is also the added stress of where the money is going to come from. That is a lot to go through, in addition to the emotional roller coaster that an individual might already be on. Planning ahead eases those worries by having decisions in place. Ask yourself this one question; if my death were to occur tomorrow, who would be making the arrangements and where would the money come from? This is pretty direct, but there is no easy way to ask it. We encourage you to begin the conversation and call us to receive the information that will guide you in a most helpful and gentle way.